My father grew up working in his families lumber yard in St. Joseph, Michigan. His family owned lumber yards and made beautiful Pianos, The Winkel Piano, in Germany for centuries. When my father began to make furniture in Iowa City it was a Coming Home for him. Wood. History. My father told me many years ago about the New Melleray Abbey in Dubuque , Iowa. Daddy visited the Abbey and spent the day in the shop. The Trappist monks there make coffins. They made one particular coffin for a very long time. It was made to be a bookcase in your home until the day you needed it. The idea was to have a daily reminder of your death. If you are always aware that you will one day die, the decisions you make in life may be impacted in a positive way. The monks in Dubuque and my father hold very similar values, work hard, Give it your all and do what is important. My father said he was not a spiritual man; what he meant was he was not a religious man. Another monk says, “ The closer you get to God, the closer you get to everybody.” My father, I believe, ended up reversing this; the closer he came to everyone he met, the closer he became to his God. Building my fathers coffin was a Sacred act of Prayer for my family. We are closer to each other for it and, perhaps, closer to each of our own Gods. Building my fathers coffin was one of the most Healing things I have ever done. It was our Way, it is obviously not everyone’s way. I KNOW that Daddy could feel our love as we sent him on his way. I KNOW that the sawdust and the stain are something other than what they were, but were actually the stuff of Real Love out of Chaos. Daddy knew that. We Go Our Own Way, and that has been more of a blessing than a curse. The getting there was trial by fire, but we were forged and strengthened. We are Tight. We may be odd and not like the others, but We are a Family, and we can hold one another and Heal. We each kept bags of the sawdust born of my fathers coffin. I can open the bag and STILL smell that day. It was simple pine; I believe it became something Greater. Love transforms everything it touches. 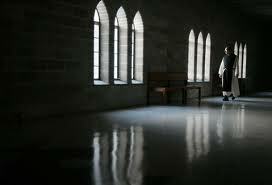 I have posted a bit about the Trappist Monks of New Melleraly Abbey in Dubuque, Iowa. I know that not everyone has the where with all to build a coffin. I also know the healing that comes with the Love and Prayer that goes into a coffin built in Sacred space. 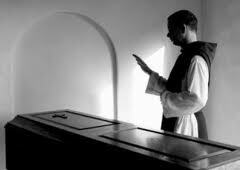 Trappist Caskets are hand-crafted by the monks of New Melleray Abbey. Along with prayer and study, our casket ministry is an extension of our sacred work. We labor quietly with our hands in support of our life of simplicity. Founded in 1849, New Melleray Abbey was established at the time of the great famine by the monks of Mt. Melleray Abbey in County Waterford, Ireland. As Cistercians, we follow the ancient monastic Rule of St. Benedict. Consistent with that rule, our vocation is expressed in a hidden life of silent prayer, community liturgy, and manual labor. Simple living is one of the hallmarks of our life. We support ourselves by the work of our hands. New Melleray Abbey launched Trappist Caskets in 1999, when we began selling caskets and urns directly to families at wholesale costs. Our work at Trappist Caskets provides us with both meaningful work and vital financial support. We view our casket business as a ministry – a corporal work of mercy. We hope to impart a sense of sanctity into all that we make. While it’s become commercially strategic these days for companies to talk about becoming “eco-friendly”, we at New Melleray Abbey have been guided by the spiritual mandate to practice responsible stewardship for over 160 years. Consequently, we work hard to be sustainable, even if it means less profit or slower production. Much of the wood we use is taken directly from our own award-winning 1200 acre forest. We manage our forest to be a diverse eco-system. Our plan calls for continuous forest improvement, which includes planting far more trees than we will ever harvest. 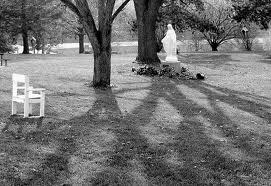 In fact, a new tree is planted as a living memorial to every person who uses a Trappist casket or urn. We are not a high volume manufacturer. We work at a monastic pace, paying close attention to detail. Our artisans employ techniques perfected through generations – producing caskets and urns of unique quality. We bring old world craftsmanship and a sense of sanctity to fine wooden caskets. Our caskets and urns are available for immediate shipment. Delivery arrangements can be made with a simple phone call, including next day delivery when necessary. ~ by Step On a Crack on October 9, 2011. How beautiful – “love transforms everything it touches”, and so true. I believe God is the embodiment of love and he certainly transforms everything he touches. Lovely, Jen. Beautiful tribute to your Father who drew closer to God as he drew closer to others. Remind me where you lived again? I lived in Cedar Rapids for 30 years. Heidi and I presented a seminar at New Melleray and spent 2 weeks every year 5 miles away with the Benedictine Sisters at Our Lady of the Mississippi Abbey! Since neither of us is Catholic, the seminar and the retreats were quite grand adventure! We just visited the Sisters two weeks ago on our trip home and had a joyful reunion over pizza and Pepsi! The chanting, at both Abbeys, sings to my soul – as do you. I grew up in Colorado and Utah. We moved to Iowa my senior year of high school and I attended the University of Iowa. U of I had been my dream school due to the Writers Workshop. Until we moved to Iowa, the chances of being able to afford it were slim to none. I did not want to leave my Senior year, obviously, but once again, my Gods, hands were Working; I had residency due to the move and could afford the tuition. Weird how life works, ehh? Debbie, My father wanted me to go with him to the abbey several times and I just couldn’t make time. I should have made the time. A good reminder yes? Is it as lovely as Daddy said? I am glad you get it. Of course you do! It worked for us, it is not for everyone. LOVE SOON my Dancing Queen… Soon!!! It was amazing, and being able to give Daddy some of what he wanted was a blessing. It really really brought our family closer together. We are MADE because of building that coffin together. we really are! thank you so much for all your support here Miss. Mel really really…. Jen – It’s at least as beautiful as your Dad said. Maybe you and M. could go to OLMA and stay in one of the guest houses (that way you could stay together and you’d be just down the road from New Melleray. At New Melleray you have little cells – although that is an experience, too! There’s something timeless and moving and incredibly peace-filled at both Abbeys. If you do go, say ‘hi’ from us, OK?